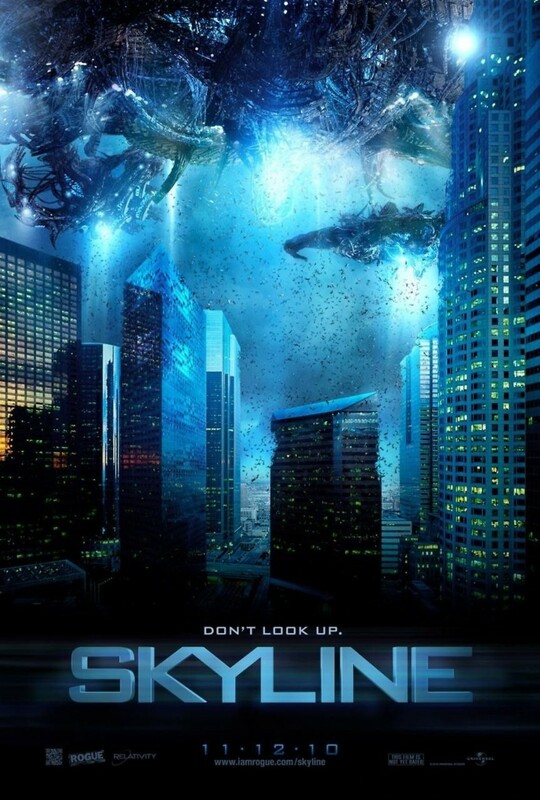 Skyline DVD and Blu-ray release date was set for March 22, 2011. Jarrod and his girlfriend, Elaine, are expecting to spend a relaxing few days in California, visiting with friends. Unfortunately for the couple, things begin to go wrong right away. After a tense night of arguments and secrets, the couple wakes up to strange blue lights in the sky, emitted by unidentified flying machines. Anyone caught in the light slows, becoming nearly paralyzed, and is then sucked up into the UFOs. It's clear to Jarrod, Elaine and their friends that the UFOs are dangerous. The threats from the alien machines keep mounting, and the group must develop a clever strategy in order to stay alive and escape.